15141 Highlands Dr #105, Fort Myers, FL.| MLS# 219024589 | Southwest Florida Residential Real Estate for Sale. Not yet ready to retire, but still want a Florida get away? Then you will love this first floor/end unit Highlands condo which is perfect for the lock and leave lifestyle . 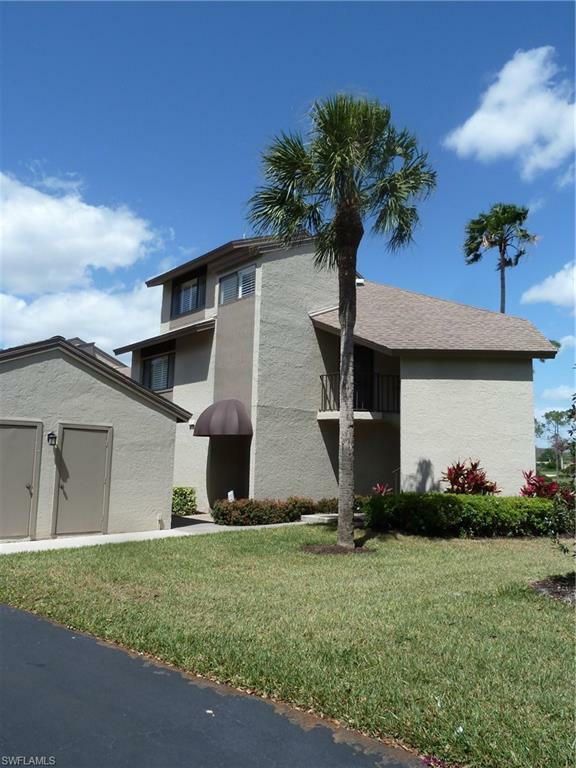 This unit comes totally furnished/turnkey and is set up great for entertaining featuring a open living area with 20' tiles, triple sliders out to the tiled lanai, large guest room with full bath, open dining area AND a breakfast bar. The kitchen has 20' tile floors and plenty of cabinet and counter space. Plantation shutters adorn the sliding glass doors. Exterior was painted in December 2017. Bright and open living and dining, plenty of closets. All this and views of #13 of the Wee Friendly golf course from your screened lanai. Don't miss this opportunity in one of Fort Myers finest low-density country club communities with 36 holes of golf, practice facility, clubhouse, 8 lighted Har-Tru tennis courts, pool and cabana area, and staffed fitness center. Mandatory $50, 000 golf equity membership fee required at closing. Own your own golf cart here. No CDD fees.